The emerald ash borer (EAB) continues to spread. It has been found in more than 40 New Hampshire towns and was discovered this winter in Vermont. EAB was found by a sharp-eyed forester in the woods in Orange, VT, within 20 miles of Grafton County. As of early April, it’s been found in three additional towns, spanning three counties (Orange, Caledonia and Washington). A determination for a VT quarantine will be made in early May. 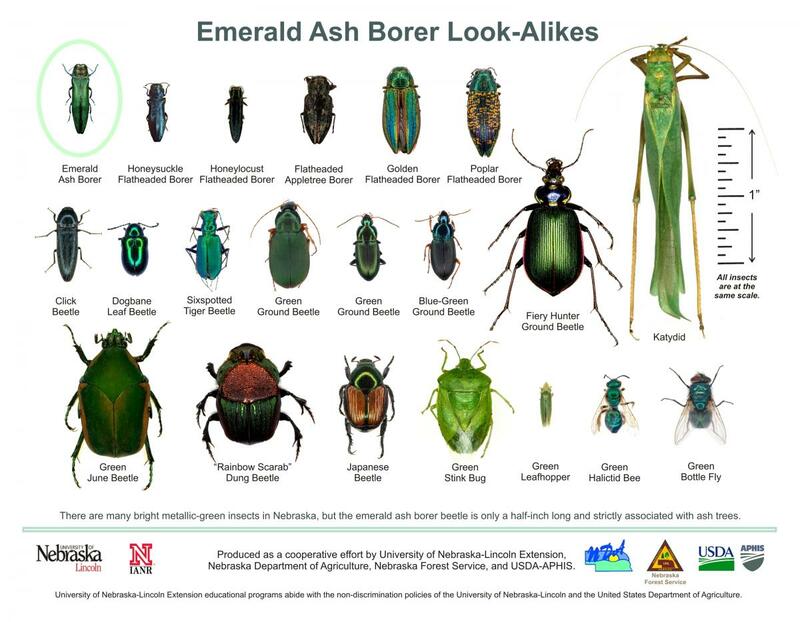 In related news, tiger beetle adults will emerge in early May and we expect to receive many reports from people “seeing” emerald ash borer adults. It is still a little too early for the EAB adults to have emerged, but it will happen soon. The good news with these reports—people are paying attention to EAB. We respond to all reports. See EAB look-alikes and more EAB look-alikes and even more look-alikes. So when will the EAB adults emerge? The Northeast Regional Climate Center includes Concord on their webpage Growing Degree Day Accumulations to support the tracking of emerald ash borer. EAB adults emerge at 550 GDD or when the black locust bloom. Report a suspect ash tree or insect at www.nhbugs.org.